CPIE is pleased to offer Summer Research Employment program again in summer 2019. Now in its third year, Summer Research Employment provides a limited number of EHHP students the paid opportunity to gain research skills under the mentorship of an EHHP faculty member during a summer session. CPIE will be the hiring office and the faculty member will provide direct supervision of the student employee. CPIE does not match interested students with faculty, therefore only students who have been invited by an EHHP faculty member should apply. Read the 2018 Summer Research Employment assessment report here. The Urban School Synergy program supports the preparation of early childhood and elementary education majors seeking more profound professional experiences in a Title I school in Charleston County School District. The program offers a yearlong placement (final field + clinical practice internship) to a limited number of carefully selected College of Charleston students. Congratulations to our inaugural 2018-2019 Urban School Synergy cohort - Patricia Cooper, Emily Watts, Caroline Whatley, and Ashton Young. Classroom Library Project is an opportunity for CPIE (in partnership with OSSC) to support College of Charleston's clinical practice interns as they prepare to have their own classroom. (a) Participating interns select three book titles from the provided list of children's books. Open to early childhood, elementary, and special education majors only. (c) The intern receives one copy to help build a collection of children's literature for his/her future classroom. The second copy is donated to the classroom in which the intern is currently working. (d) In exchange, the intern is expected to incorporate at least one of the books into classroom instruction and submit a reflective essay to CPIE. The fall semester book list is comprised of children's books dealing with death/dying, disability, chronic health conditions, and mental health. The spring semester list contains children's books written by or about African Americans. To participate, register online by Labor Day (fall semester) or Martin Luther King, Jr. Holiday (spring semester). **ACCOMPLISHMENT ALERT** Since 2012, Classroom Library Project has provided 714 books to 119 clinical practice interns and 99 cooperating teachers. You are invited to help us celebrate our 100th cooperating teacher in 2018-2019! This school year only, every registered intern and cooperating teacher will receive a bonus book, Jake's 100th Day of School! 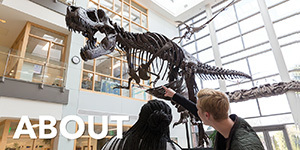 Student Group Grants are mini-grants for student groups housed in EHHP. 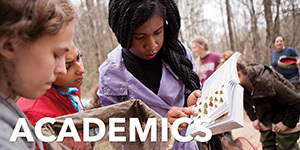 Eligible student groups may apply for up to $250 per academic year to support community initiatives that relate to education and/or health and wellness. 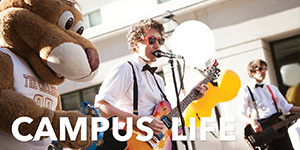 Funds must be used for interactive projects involving the student group and the non-campus community. 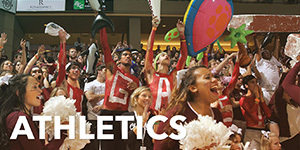 Eligibility: Student groups must be either (a) a student program for EHHP majors, such as Teaching Fellows or (b) a current SGA-recognized organization, such as the Health and Human Performance Club. In either case, the student group must have a faculty/staff advisor who is housed in EHHP. Please check with CPIE to confirm your eligibility. Non-campus community defined: For the purposes of this grant, the non-campus community is defined as a particular school, organization, program, or neighborhood; government entity; business; or a specified audience within the general public. You are encouraged to check with CPIE prior to submitting your application. Use of funds: Grant funds may be used for materials, guest speakers, food, and travel that are directly related to an activity in which the student group will interact with the community. Funds may not be used for alcohol, drugs, tobacco, gift cards, tips (gratuity), monetary donations, scholarships, cash prizes, clothing, membership dues, fundraising, in-kind donations, or class projects. 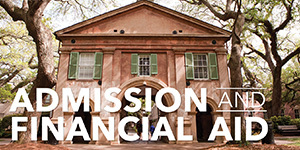 Student groups receiving grant funds are expected to comply with all relevant College of Charleston policies and procedures regarding the planning and implementation of the activity. Please review these policies and procedures before applying for funds. CPIE will accept no responsibility for any violation of these guidelines. Collaboration: Collaboration between student groups is encouraged. 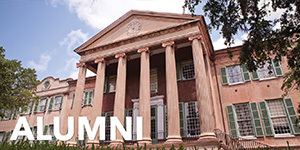 At least one of the collaborating groups must be housed in EHHP, and all collaborating groups must be officially recognized by a College of Charleston department, school, or SGA. Collaborating groups may submit a joint application for up to $250 per project or individual applications for up to $250 per group. Only groups housed in EHHP may submit individual applications for funding, therefore cross-campus collaborations are eligible to submit a joint application only. To apply for a Student Group Grant, submit your application at least 20 days prior to the proposed activity.